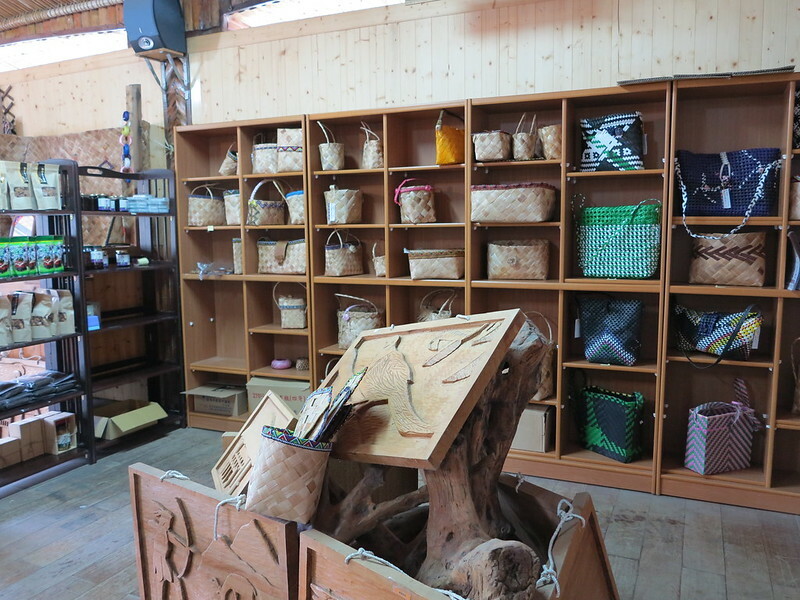 Aveoveoyu, Let's Share the Culture of Sharing in the Pavilions of Cayamavana! 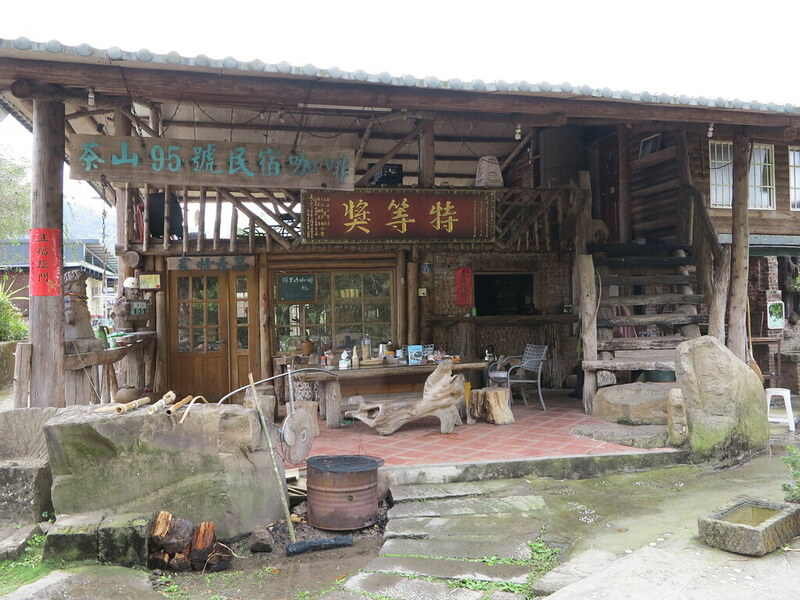 I recently had the opportunity to re-visit Chashan Village (茶山部落, Cayamavana), located in the southernmost part of Alishan Township of Chiayi County (嘉義縣阿里山鄉). Its name in the Tsou language is Ca Ya Ma Vana, which means “plain along the midslope of a mountain”. When the Japanese occupied Taiwan (1895-1945), they shortened the name to Ca Ya Ma. Then, when the Kuomintang government came into power, they chose the name Chashan (which means “tea mountain”) as “tea mountain” in Japanese has a pronunciation similar to Ca Ya Ma. The Tsou were the first to move here and make up 60% of the population. They were followed by the indigenous Bunun tribe (now about 30% of the population) and Han Chinese (making up the remaining 10% of the population). Typhoon Morakot hit southern and southeastern Taiwan in August of 2009 killing hundreds and leaving many more homeless. Although nearly five years have passed since this natural disaster, there are still traces of it in areas of rockslide and new roads and bridges have been built to replace those that were wiped out. But, such disaster also reveals the resilience of the human spirit and the determination to rebuild. 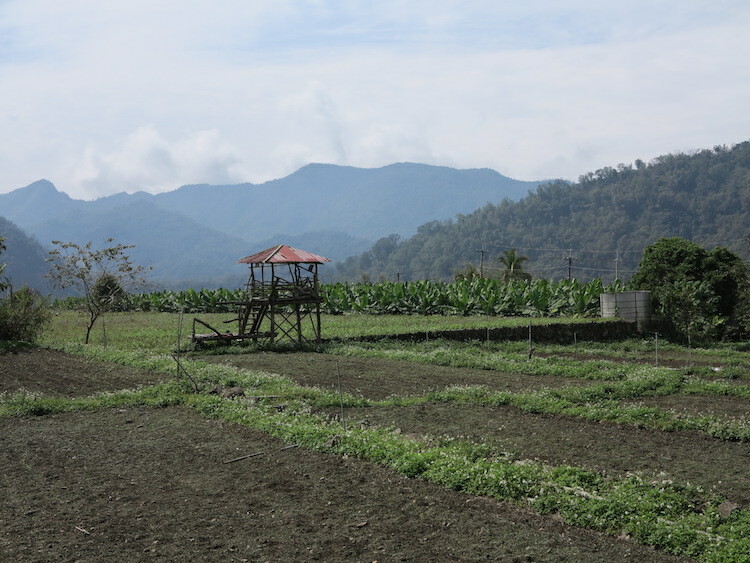 The community has been doing that creating farming, cultural and environmental education areas. Ms. Fang said that rebuilding efforts are still coming along, but tourists are already returning. In past times, meat obtained from hunting was brought to the hufu and shared among the families of the village. 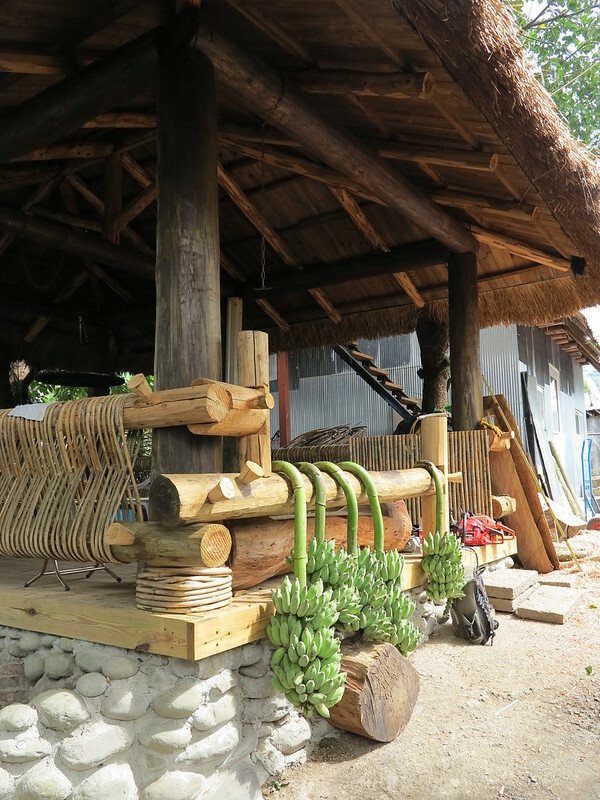 Walking around this rustic looking farm village, I did notice some things that had remained the same, such as its many pavilions, each with a thatched roof. These are called hufu in the Tsou language. When asked how many pavilions there are, the locals will respond “a lot”. No one seems to know the exact number, but a brochure introducing the village puts it at more than 100. There are pavilions along the road in public areas and in front of just about every home. 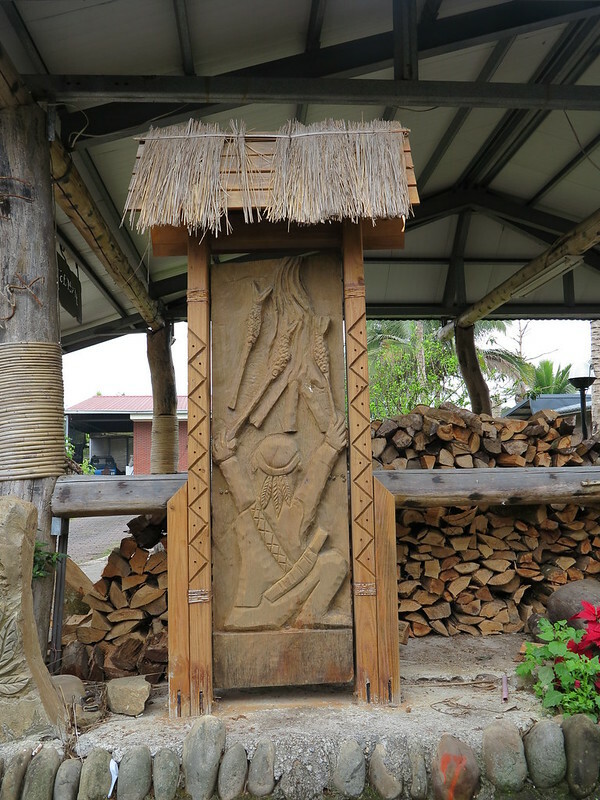 You will see numerous wood carvings lining the streets. Each has a specific meaning related to the Tsou culture. 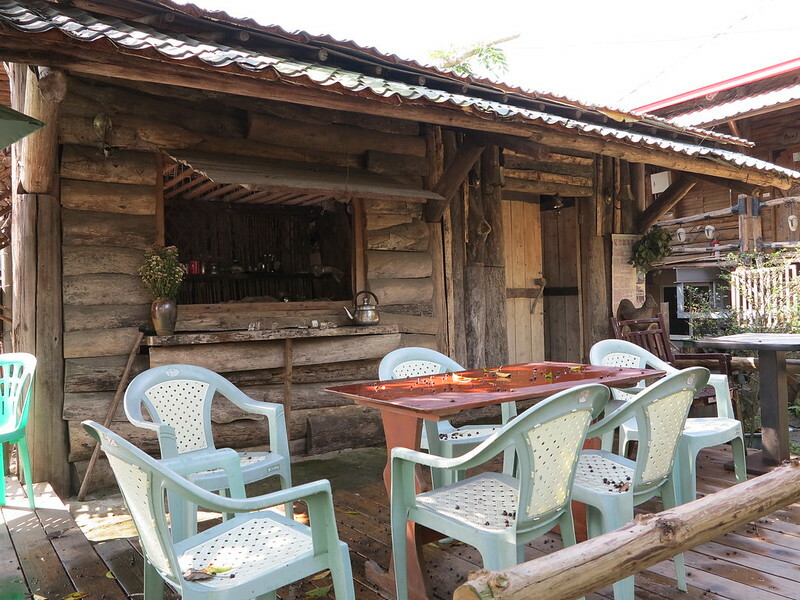 Currently, there are six guesthouses in the Chashan community. 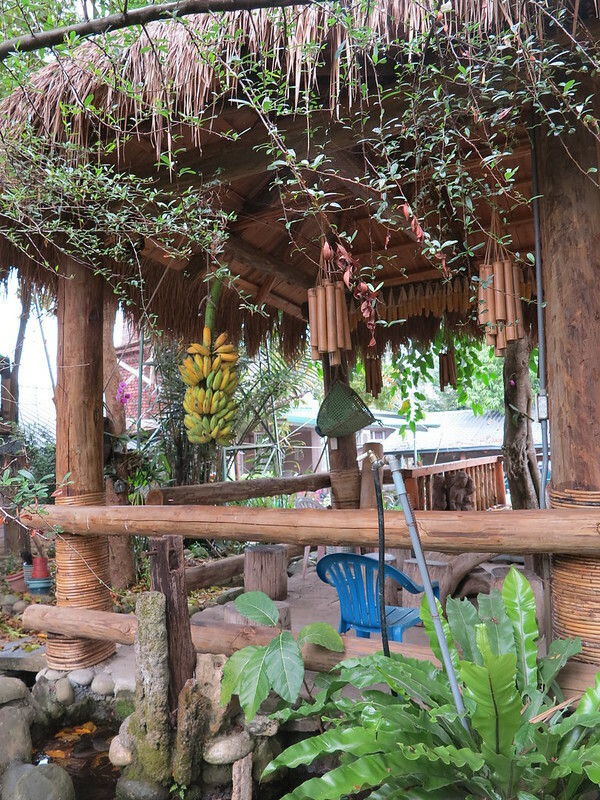 Some of the guesthouse owners are trained guides or work with local guides to create cultural tourism and ecotourism packages for their guests. Each of the guesthouses has its own characteristics. 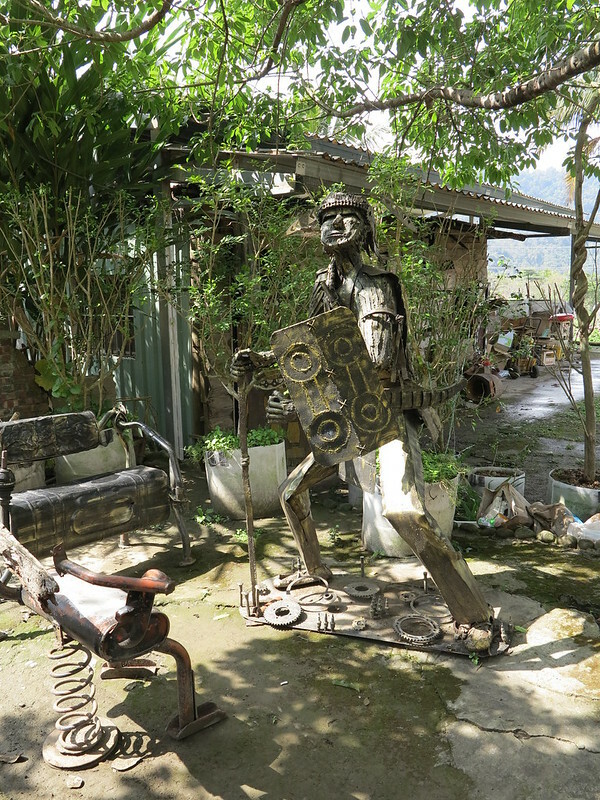 For example, the owners of On This Mountain Guesthouse (只在此山中民宿) are both artists, the husband is from the Tsou tribe and grew up in Chashan and creates art installations and furniture using scrap metal. His wife is Hakka and creates pottery. Her handmade cups are used to serve coffee on the guesthouse’s first floor. The nearby Chashan No. 95 Guesthouse (茶山95號民宿) also has a first floor area for serving Alishan grown coffee. Information about guesthouses and community tour guides can be obtained from the Chashan community development association (see address box below). 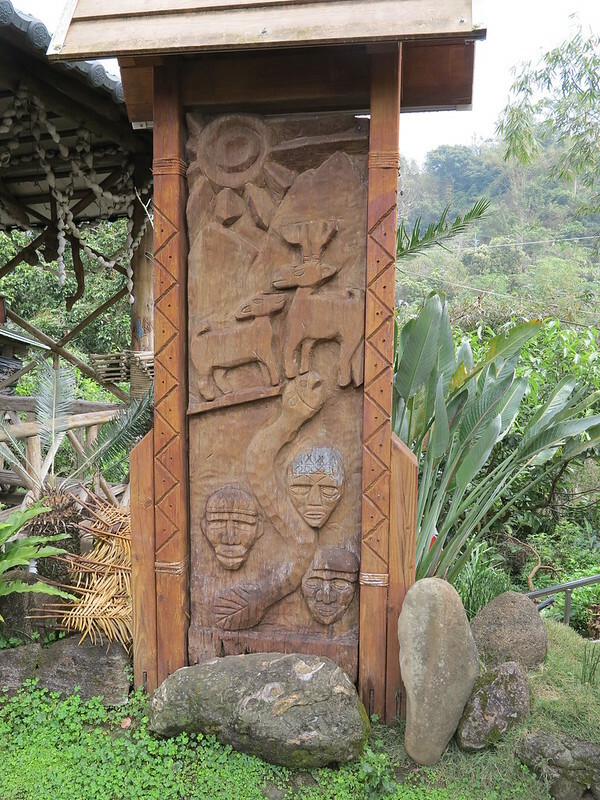 In terms of cultural tourism, a village tour is sure to include an explanation of the hufu. 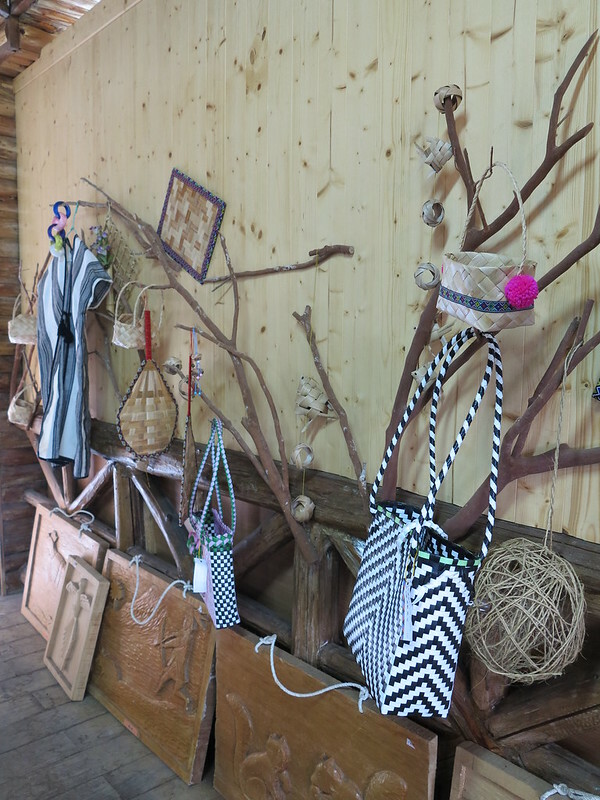 These are mini cultural halls with items such as traditional woven rattan baskets, wild boar jaw bones, dried corn and sets of bamboo tubes used to scare away birds from the millet fields. 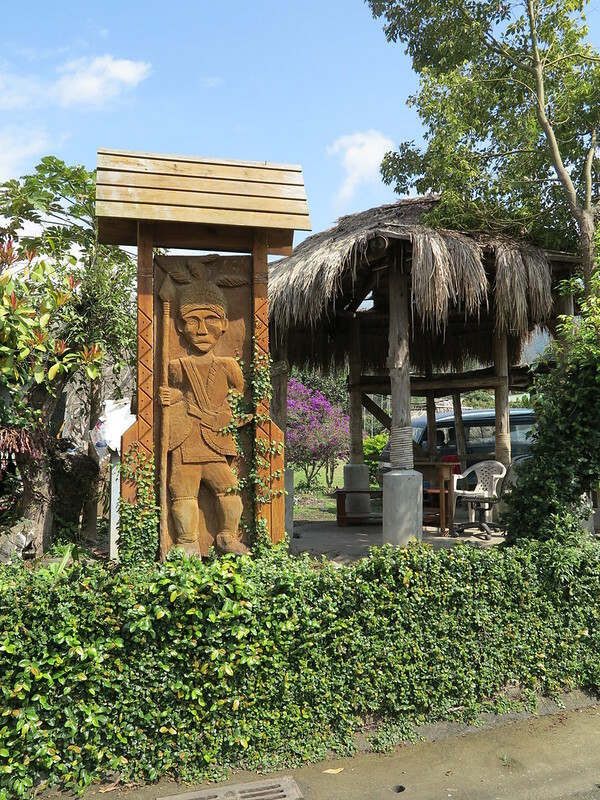 In addition, you will see numerous wood carvings lining the streets. Each has a specific meaning related to the Tsou culture. In terms of ecotourism activities, two rivers branch off from the Zengwen River (曾文溪) and run through or near this community. They are the Tunabana (Tuavana) River (屯阿巴娜溪) and the Poyiyana River (波伊亞娜溪). 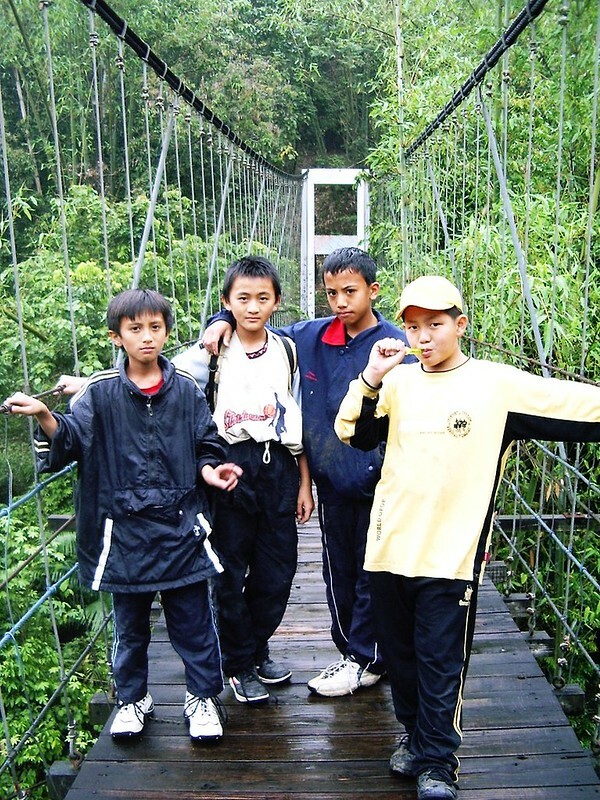 Along the former are the Tuavana Suspension Bridge, Ca Ya Ma Waterfall and the Tuavana Ecological Park. This ecological park boasts 15 species of frogs and 6 to 7 species of fireflies, which are most active in the springtime. Along the latter is a place for enjoying the water and in the summer and fall a natural rock slide. 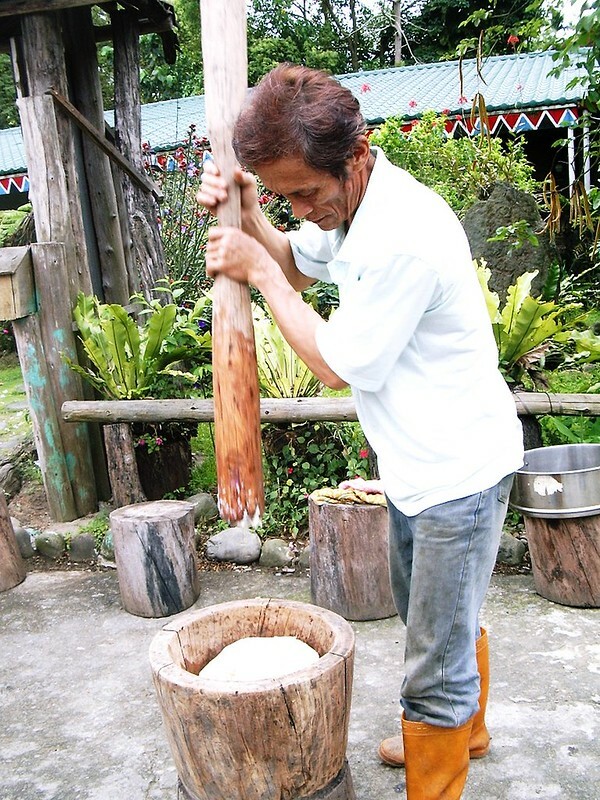 Other activities include hiking, learning about the indigenous hunting culture, enjoying a barbecue or meal of indigenous cuisine, and making moichi (a sticky rice dessert) the traditional way using a wooden pestle and mortar. By car: If coming from the north, from National Freeway 3, exit at Zhongpu and head toward Alishan, connecting to Provincial Highway 18. After about a kilometer, you will come to a fork. Take the left fork and connect to County Road 135. Then, turn onto Provincial Highway 3. Follow this road until just before the Dapu Bridge, and connect to County Road 129. 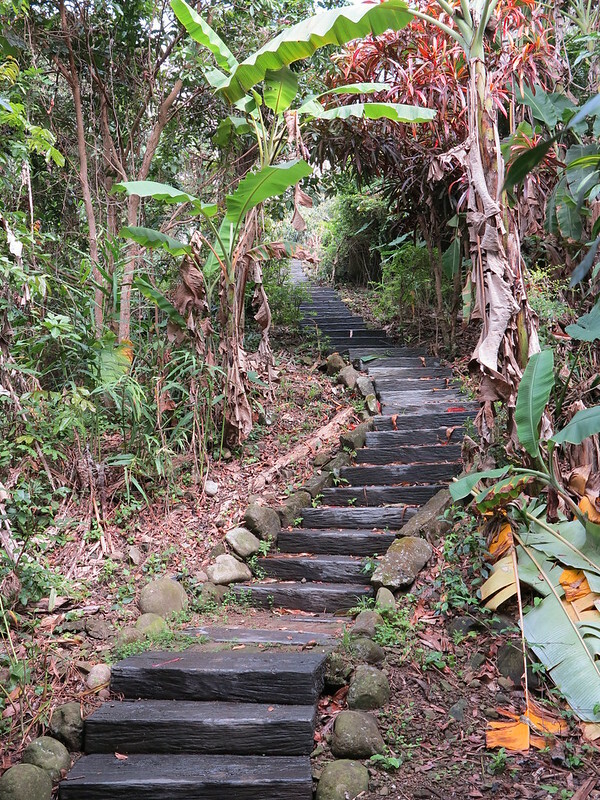 Continue on this road up and up to reach the village. The village is located at about the 28.5 kilometer along County Road 129. If coming from the south, from National Freeway 3, connect to Expressway 84 toward Yujing. At Yujing connect to Provincial Highway 3. Follow this road to just past the Dapu Bridge and turn right onto County Road 129 to reach the entrance to the village. By bus: There is no bus service to Chashan. If you do not have your own transportation, the Chiayi Bus Company runs one route (number 7215) from Chiayi City to Yunshui (澐水) along Provincial Highway 3. You can ask the owner of the guesthouse where you are staying if it is possible to arrange for a ride from Yunshui to Chashan.